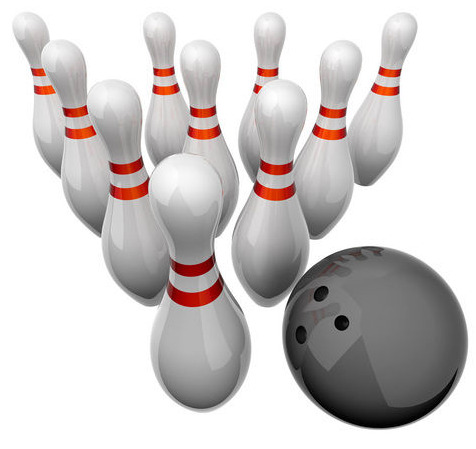 Best Bowling Games for Android are one of the most successful game for any mobile devices. We have listed some nice Bowling Games for you. Most of these games listed in the Best Bowling Games for Android list has excellent graphics. You can type or copy any name of the games listed in this list?of Best Bowling Games and search it in Android Market Place using the Search function. Let’s Bowl Deluxe : Let the good times bowl! Get the best bowling game now available on Android! Everyone loves to bowl! Now you can be the king of the 10-pin wherever you are! Galaxy Bowling 3D : Galaxy Bowl is a 3D 10-pin bowling game of universal proportions! Galaxy Bowl is a 3D bowling game of universal proportions! It sports realistic physics. 3D Bowling : The bowling games are played at Bowling 3D at five different tracks, all of which were set with 3D graphics scene. Doodle Bowling : A full fledged bowling game with 14 funky themes, realistic physics and scoring. PBA? Bowling 2 : Polish your bowling shoes its bowling time! The biggest name in bowling, PBA?. Midnight Bowling 2 : Stack up strikes to electrify the audience! Stack up the strikes to electrify the audience and become the trendiest player in town! We hope that you have found your choice from our list of Best Bowling Games for Android. This Article Has Been Shared 3635 Times! Cite this article as: Abhishek Ghosh, "Best Bowling Games for Android," in The Customize Windows, November 27, 2011, April 25, 2019, https://thecustomizewindows.com/2011/11/best-bowling-games-for-android/.